When first-time clients contact us our priority is to listen to their issues and concerns then offer solutions to their situation. Often times we come across preconceived notions on how a Montreal Private Investigator conducts investigations. This is part 1 of a multi-part series covering the most commonly asked questions we get as Montreal private investigators and investigators across Canada. 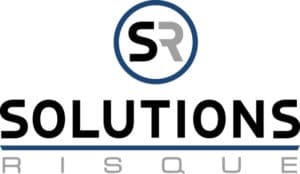 If you have any questions you would like to ask please send them to info@solutionsrisque.com and we will be happy to answer them in future posts. How does one become a Montreal Private Investigator? In Canada, private investigators are licensed by their respective province. For example, if you wanted to get licensed to operate as a private investigator in Montreal. As of 2010, the Bureau de la sécurité privée has been mandated to ensure a more effective regulatory and compliance framework for all aspects of the industry including administration, ethics, training, and operations in the province of Quebec. An equivalent diploma recognized by the Minister of Education, Recreation and Sports (MELS). Once you have successfully completed the course or meet the above requirements you may apply to the Bureau de la sécurité privée for a license. If you meet the security background verification, the chances of being licensed are in your favour. If you succeed on obtaining your permit you may then begin to apply to licensed private investigation agencies in Quebec for employment. Please note that an “agent” license does not give one permission to operate on their own. Civil liability insurance policy of at least $1,000,000 per incident. Pay an annual licensing fees. From time to time we receive phone calls from clients who had unknowingly hired investigators who were not licensed to operate as agencies. The results are hefty fines and cases being thrown out of court. Unfortunately, by the time we receive the call the case has already been compromised and there is not much that can be done to salvage it. Before hiring any investigation firm always contact the Bureau de la sécurité privée at 1 877 748-7483 to verify if they are licensed.